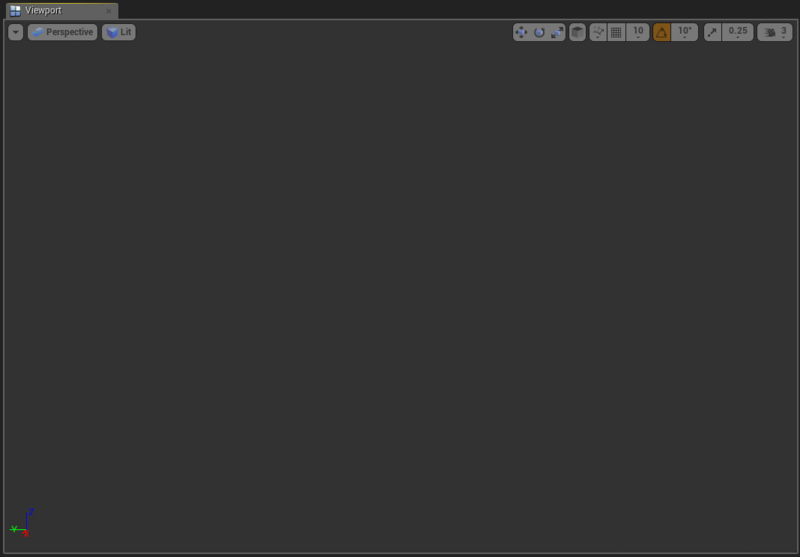 I just opened the viewport for the player actor in my game and there's nothing there. Is this a bug? I have tried pressing every button I can find with no success. This worked fine yesterday. Edit: It seems all views (Top, side etc.) works fine. Just the perspective view that does not work. Does this happen with all of the actor blueprints in your project? What particular kind of blueprint is this, if it's not just an Actor BP? What kind of components does it have? The more information you can provide, the better. We haven't heard from you in a while, DigohD. Are you still experiencing this issue? If so, can you provide the information I requested in my previous post? In the meantime, I'll be marking this issue as resolved for tracking purposes.